This is a Good-buy! Large red wavy glass with a dull mercury glass finish. This one is big and showy! I have mine hanging on a hook with my Valentine's Day decor and I love it! 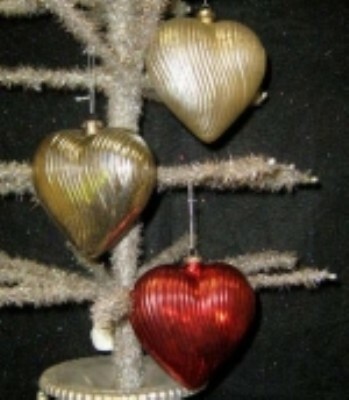 It is 5" x 5" x 2.5" and is perfect to show your love on a Christmas tree too. Sorry, we only have the red.